As part of SeaWorld's ongoing counterattack against the documentary "Blackfish," the park delivered a complaint about a government investigator to the Labor Department on Thursday, accusing Lara A. Padgett, an OSHA investigator, of various ethical violations, including leaking classified documents to the makers of the documentary. 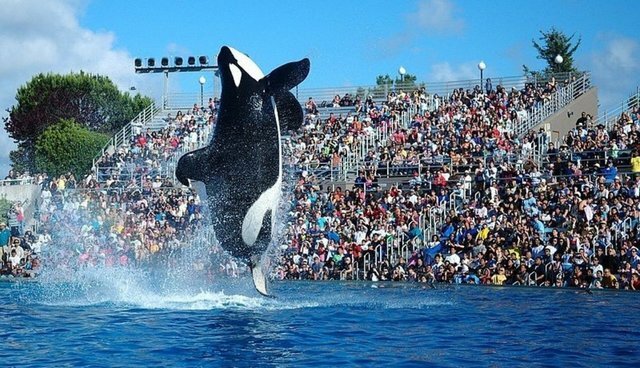 With its filing Thursday, SeaWorld added a demand that the government remove Ms. Padgett, a compliance officer with the Occupational Safety and Health Administration, from oversight of its parks while reviewing her conduct. Ms. Padgett's review of Ms. Brancheau's death led to an enforcement action that severely limited interaction between SeaWorld trainers and orcas. SeaWorld's legal team, led by Eugene Scalia - the son of the Supreme Court justice Antonin Scalia - has appealed, and the case is pending before the United States Court of Appeals District of Columbia Circuit. SeaWorld cited Padgett's social media activity, saying that she cheered on the "Blackfish" creators on Facebook, as well as attending premieres of the movie at the Sundance Film Festival and in New York. The complaint references a government ethical code that bars officials from using their position to benefit people with whom they are privately connected to, or from officially endorsing a private activity. But Cowperthwaite told The Times that she has never received any documents from Padget, calling the charge, "just so patently wrong." In an email to The Dodo, Zimmermann wrote: "Lara Padgett never gave ‘Blackfish' any documents, and she, along with her OSHA colleagues, declined repeated requests to participate in ‘Blackfish.'" This is only SeaWorld's latest effort to respond to the growing backlash it's faced since the release, and repeated airing on CNN, of "Blackfish," from the cancellation of bands slated to perform at its park, boycotts and petitions against the park and dozens of celebrity calls to end the orca breeding program (and less polite sentiments expressed to SeaWorld, as well). SeaWorld previously published an open-letter to major newspapers but has been unable to identify any significant inaccuracies in the film -- despite it's deeply unflattering portrait.